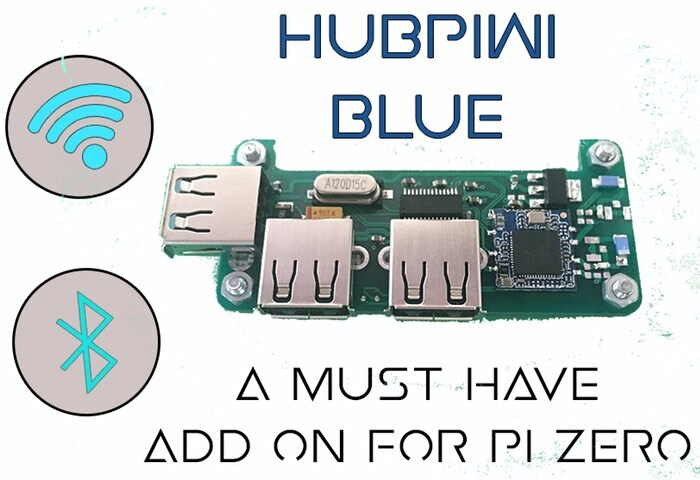 Raspberry Pi enthusiasts that are looking for an easy way to add extra functionality to the tiny Raspberry Pi Zero mini PC, may be interested in a new piece of hardware which has been created by Vikas Shukla called the HubPiWi Blue. The HubPiWi Blue has been created to easily and Bluetooth and wireless connectivity as well as three useful USB ports to the Raspberry Pi Zero without any soldering. Check out the promotional video below to learn more about its features and functionality. The creator of the HubPiWi Blue Raspberry Pi Zero and on-board which is now available to back via Kickstarter with early bird pledges starting from just $12, explains more about the boards features and functionality. Our Production process is streamlined and we have delivered most of our campaign in time. The HubPiWi Blue is however, not going to be FCC Certified. So if you are looking for integrating it into your industrial projects you may have to do your own certification. Also the RF performance is not guaranteed. The Antenna efficiency has not yet been tested, so you may get less than perfect antenna performance. For more information on the new HubPiWi Blue jump over to the Kickstarter website for full specifications and to make a pledge by following the link below. If you found this article interesting you might also be interested in this list of awesome Raspberry Pi Zero projects we have put together.